We offer new in-ground installation services, liner replacement and a retail store to meet all of your needs. Vernon Poolman offer a number of pool installation and support services to help you create the perfect backyard getaway. In addition we provide services such as pool openings, closings, repairs and renovations. Call the store at 860-872-1926 for more information. Create a vacation getaway right in your backyard! Vernon Poolman is a Showcase Builder of Pacific Graphix inground pool installations. Vernon Poolman offers fiberglass pool installation services. Choose from dozens of shapes & an endless list of finishing touches. Vernon Poolman provides in-ground liner replacement services. We offer a diverse selection of liners from which to choose. Come visit our store where have all of the chemicals and equipment you need to keep your pool running crystal clear. Plus we have an experienced staff that can help answer all of your questions. A pool adds joy to life. Brings you closer to the people you love. And adds lasting value to your home by making it more attractive and appealing to future buyers. 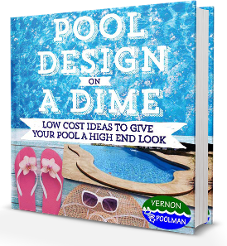 In choosing Vernon Poolman to provide your Pacific Graphex inground swimming pool installation, you are guaranteed a lifetime of summer enjoyment. Only a Showcase Builder can offer this combination of expertise and quality materials. And rest assured that a Pacific Pool is built to last – through summer after summer of swimming, splashing, and just plain fun! Ready to get started? Contact us today to set up an appointment. Choose from dozens of shapes and an endless list of stunning finishing touches to create your unique Trilogy pool. Vernon Poolman offers the most durable vinyl liners, the PACIFIC vinyl collection, covered by the most comprehensive warranty in the business. Virtually maintenance-free, they’re treated with a special fungicide to inhibit bacterial growth. The PACIFIC vinyl collection includes both DuoMax and SuperMax liners, designed for harsh weather cycles of freezing and thawing in the north and strong Ultra-violet rays in the south. Check out the gallery below featuring many of the possible vinyl liners available to you. Just click on any thumbnail to launch the gallery. The products you need for crystal clear water! Our retail store offers a full line of quality Bioguard® chemicals, as well as pool equipment and free computerized water testing. Come on down and you not only will get the products you need to keep your pool clean all season, but you also will benefit from the expertise of our knowledgeable staff. If you’re thinking about an inground pool installation, stop on down and talk to a member of our sales staff during store hours and we can answer all of your questions. Still have questions or ready to get started on a pool installation? Contact us today!